A few Thank you cards for the "supporters" of my son's recent trip to Germany. He went with his Germany class. Those that helped with his trip will also be getting small tokens that he brought home with him. Using the Array of Sunshine set gives me many options. I love the feeling of the delicate flowers. I layered the colors from the Paper Players Challenge in the center of the card. 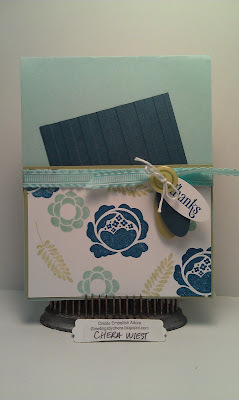 I used the Stripes embossing folder in Not Quite Navy. I layered the Whisper white on Certainly Celery. 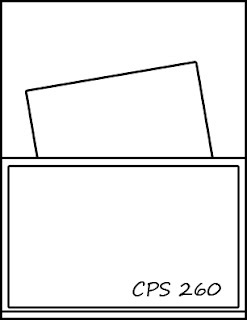 I used the sketch from Card Positioning Systems. great card, really like those colors and the flowers-love those!! Fabulous use of the sketch. What a nice gesture for your son to do...I love this set and haven't used it lately! Nice sketch, too! 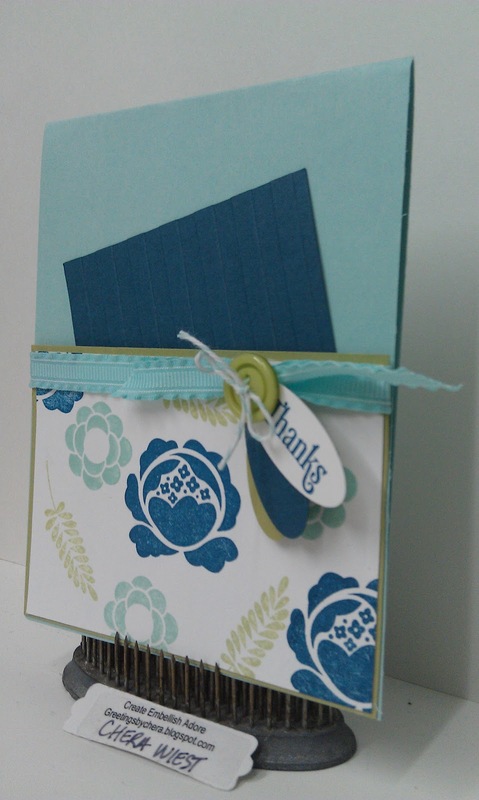 Thanks for using my Paper Players colors this week! 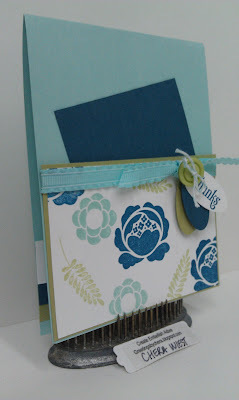 That stamp set looks lovely in these colors! What a treasured thank you card! thank you for joining us at The Paper Players!